What is Dermoscopy? Does your dermatologist use Dermoscopy? Dermoscopy is an advanced mole and skin lesion examination technique which uses a special instrument called a Dermatoscope to simultaneously illuminate and magnify the mole and assist in determining whether it is abnormal or not. This examination allows features of the mole or other lesion to be seen that otherwise are not visible to the naked eye or with magnification alone and can increase the accuracy of the evaluation. This specialized technique requires advanced training and substantial experience to be used proficiently to help in the early identification of melanomas and other abnormal moles and skin lesions. 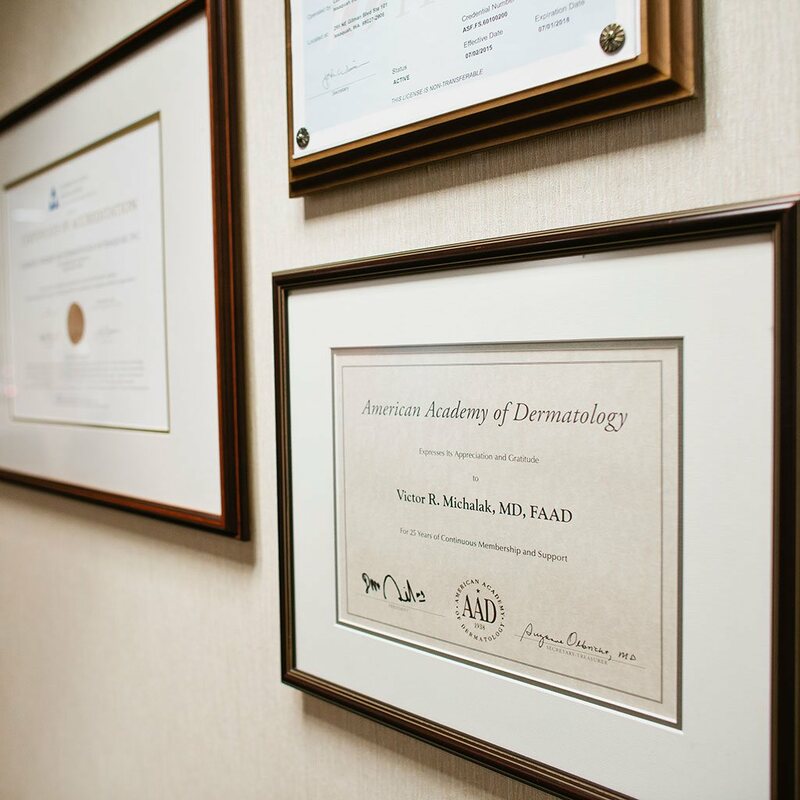 It’s okay to ask your dermatologist if he uses Dermoscopy as part of your skin examination. Today, the use of a Dermatoscope as part of the examination of a patient’s skin is akin to a cardiologist using a stethoscope as part of the patient’s heart evaluation. Dermascopy is routinely used at Cosmetic Surgery and Dermatology of Issaquah. If you haven’t had a comprehensive skin examination recently, please contact us for an appointment. We often have same day appointments available – ask us for more details! Tips are provided monthly by Victor R. Michalak, M.D.